It is 50 years since the Wiltshire town of Warminster, 15 miles west of Stonehenge, first became a centre of pilgrimage for British UFO watchers. During the late 1960s, on weekends and bank holidays, the 11,000 population of Warminster was swelled by hundreds of UFO enthusiasts. Pilgrims were forced to camp in fields as there were not enough hotels. As night fell the hills around the town were thronged with expectant sky-watchers all hoping for a personal sighting of ‘The Warminster Thing’. They were undaunted by the fact that one of the key skywatch locations, Cradle Hill, sat alongside the largest military training zone in the UK. Large areas of Salisbury Plain are used by the British Army for weapons testing and many square miles are closed to the public even today. The Warminster phenomena began late in December 1964 when a curious news item appeared in the weekly newspaper, The Warminster Journal. A woman on her way to church early on Christmas morning was startled by an unearthly sound like ‘branches being pulled over gravel’. This was followed by an eerie droning sound. One week later, the town’s postmaster came forward to say he heard a similar bone-chilling aerial noise. This prompted an ‘amateur scientist’, David Holton, to sent a long letter to the paper. Holton claimed the mysterious noise had been heard for years and had once ‘disturbed a flock of pigeons from their roost’. The birds flew across its path in terror, many dropping dead to the ground. 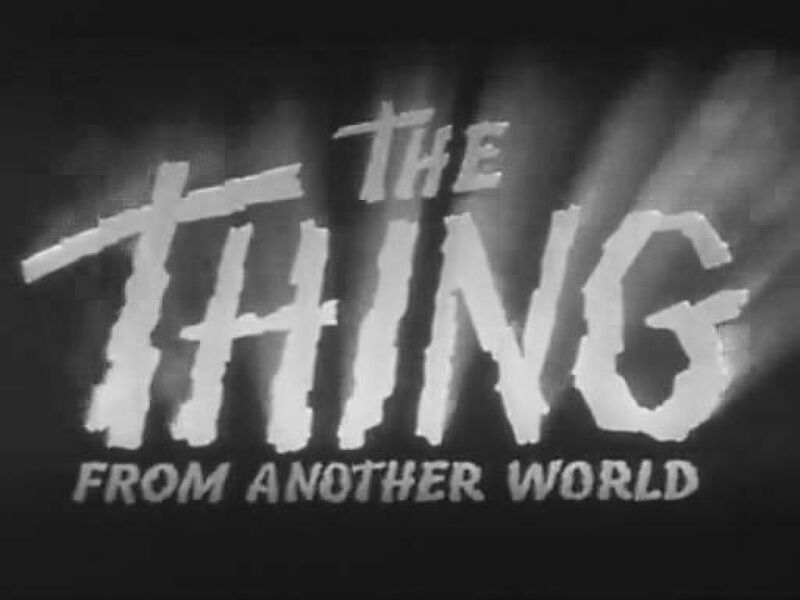 Quizzed about this sensational story on a local TV news bulletin, Holton said he believed ‘The Thing’ came from outer space (a reference to the 1951 science fiction thriller, The Thing from Another World). It was only a matter of time before the source of the noise showed itself. By the spring of 1965 stories about unexplained sounds were replaced by sightings of ‘bright, cigar-shaped objects’ in the sky. A bright light, dubbed the ‘amber gambler’, roamed the hills above the town. 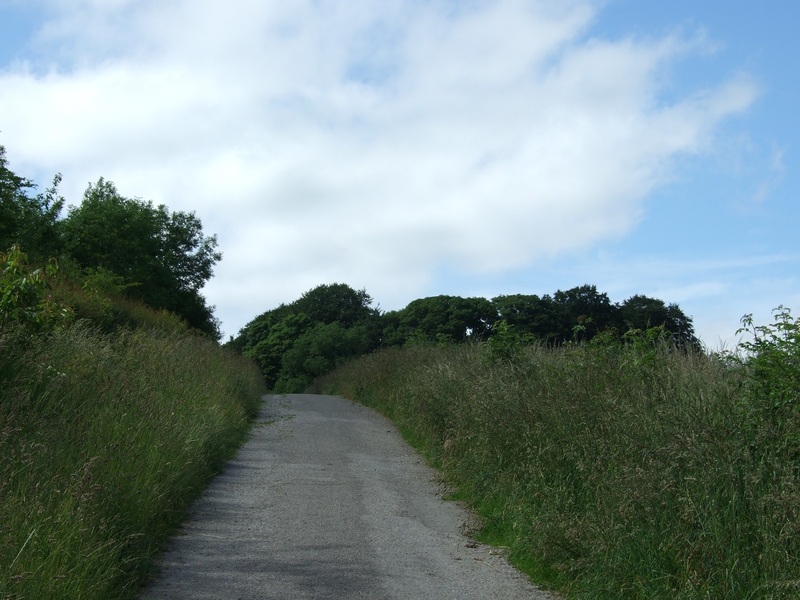 As rumours spread Elwyn Rees, chairman of the town council, called a public meeting ‘to allay fears that the happenings were a danger to the Earth’. On Friday 27 August 1965, just before the Bank Holiday, two hundred residents squeezed into the Town Hall Assembly Room. Hundreds more gathered outside. 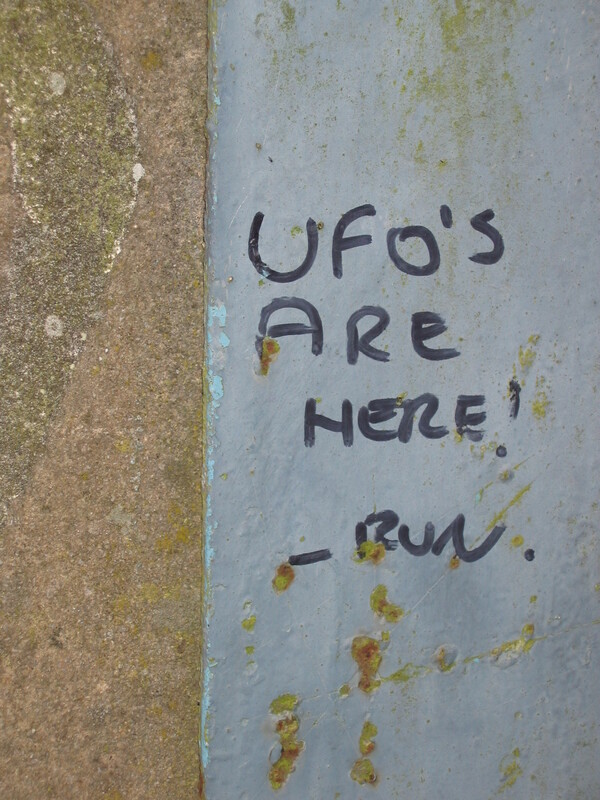 Inside, John Cleary-Baker, the Chairman of the British UFO Research Association, the UK’s premier UFO society, reassured townsfolk they had nothing to fear from their visitors. They should ‘welcome their arrival in the sky’. He went on to link UFOs with fashionable New Age ideas about ley lines and suggested aliens could be using an ancient earthwork nearby as a ‘homing beacon’. The Warminster Thing might have been quickly forgotten after the summer ‘silly season’ was over. The man who ensured it continued to run was Arthur Shuttlewood who, at the time, was chief reporter for the town’s newspaper. He kept the rumours alive in a stream of articles for the Journal. 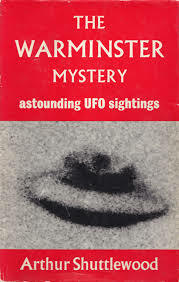 By the summer of 1966 Warminster was firmly planted on the map as the place to see UFOs. ‘As a local journalist I have to report every item of news as it comes in and this was such extraordinary news,’ he told the BBC documentary Pie in the Sky. ‘Reputable people were coming forward: the head postmaster of the town, a vicar and his three children, a hospital matron, an army major who said his car was virtually stopped in its tracks at 40 mph. These sorts of people have to be trusted for their integrity’. Shuttlewood depicted himself as a hard-bitten, cynical journalist. But his cynicism and objectivity evaporated when he went looking for UFOs. He attributed this conversion to personal experiences with ‘The Thing’. Shuttlewood had lost the sight in one eye following a wartime accident. But despite this disability he saw UFOs on average twice every week and went on to rack up a total of 800 ‘experiences’. He told the BBC: ‘When one sees for oneself that’s it. Nothing will deter you from your absolute belief from that moment onwards’. In 1968 he published a book, The Warminster Mystery. This was the first in a series that combined colourful accounts of his and others’ sightings with new age mysticism. Shuttlewood was a deeply religious man and believed UFOs were a sign of the approaching apocalypse. He had a way with words and quickly became a media celebrity. 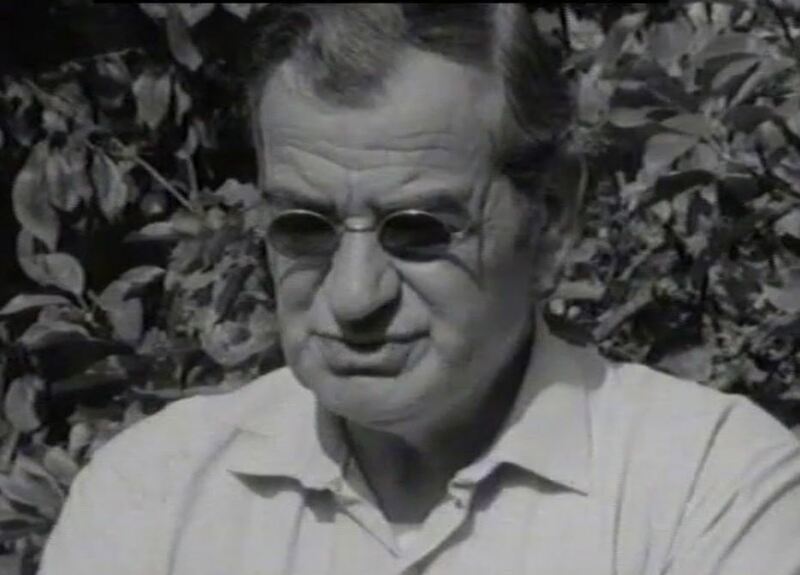 Visitors to Warminster regarded him as a kind of saucer guru and sought him out to experience UFO magic. Seasoned UFO-watcher Kevin Goodman summarises the origins of the mystery for BBC Wiltshire here (this magazine item includes a link to the 1966 documentary Pie in the Sky). Kevin also maintains the UFO Warminster website and Facebook group. Two excellent recent books on the phenomenon are Steve Dewey and John Ries In Alien Heat and Dewey and Goodman’s History of a Mystery. This entry was posted in Uncategorized and tagged Arthur Shuttlewood, British UFO Research Association, BUFORA, Cradle Hill, Dr Who, History of a Mystery, How UFOs Conquered the World, In Alien Heat, John Ries, ley-lines, Loch Ness Monster, New Age, Salisbury Plain, Steve Dewey, The Thing from Another World, The Warminster Journal, The Warminster Mystery, The Warminster Thing, UFOs, Warminster. Bookmark the permalink.